Love ur new emag. All the work. 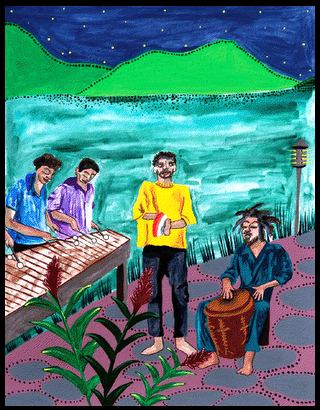 But especially adore "Bajan Market" by Che Black/Man. Luv it, yah! Thank you for allowing me to share my "Mama & Me On Montserrat" stories in Anansesem's first issue. I've enjoyed reading everyone's contributions and look forward to many more creative works in the coming editions. Thank you for letting me be part of the inaugural issue. I love the features (as well as the look)! I think your site is the perfect place for parents and kids to gather 'round the computer and share. I wish you a long, inspirational run! Making Dew is my favorite. What a great story! I love to see more story from this author. I love all the contributions, but Jan Bester's stories are my favourite. I do hope that anansesem goes from strength to strength.